Listed below and updated daily from the MLS are condos for sale in Summit, a condo development located in Mammoth Lakes, CA. And, be sure to register for a free account to automatically receive email listing alerts whenever new Summit condos hit the market in Mammoth Lakes, CA, that match your specific search criteria. The Summit condos development is comprised of two phases, I & II. 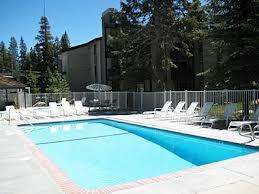 The complex is located at the base of Chair 15/Eagle Express, 3253 Meridian Blvd., Mammoth Lakes, CA 93546. Phase I was completed in 1973 and phase II was completed in 1979. Between the two phases, there are a total of 210 units. The complex underwent major renovations and upgrades to the exterior of the complex in 2010, which included: New dual-pane windows, new roofing throughout, new insulation & siding, new decks, new walkways and propane gas lines to each building. This full-amenity resort complex features three outdoor swimming pools, six Jacuzzis, four saunas, laundry facilities in each building, three tennis courts, fitness center, underground parking, off-street parking, on-site management, fully-landscaped grounds and has both Yellow & Green Shuttle bus stops in front of the complex. There are five different floor plans: 1-bedroom, 1-bath with approximately 600 to 824 SF, 1-bedroom & loft, 2-bath with approximately 850-950 SF, 2-bedroom, 2-bath with approximately 928 to 1,040 SF, 2-bedroom & loft, 2-bath with approximately 1,260 to 1,468 SF, and 3-bedroom, 2-bath with approximately 1,603 SF.